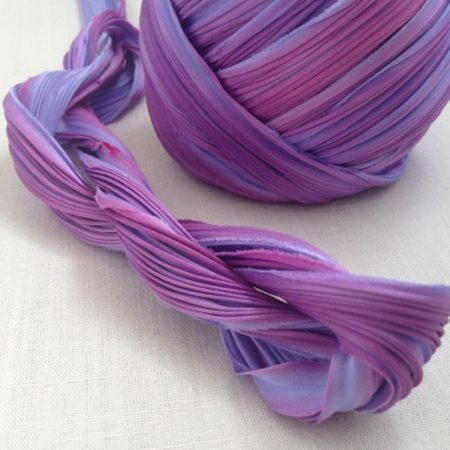 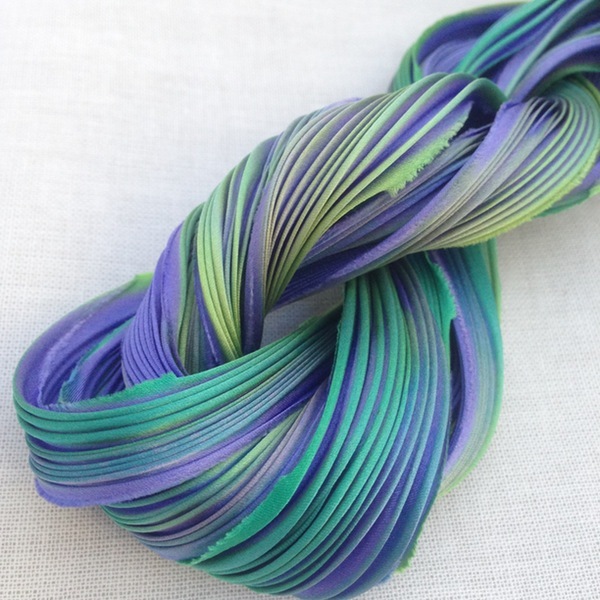 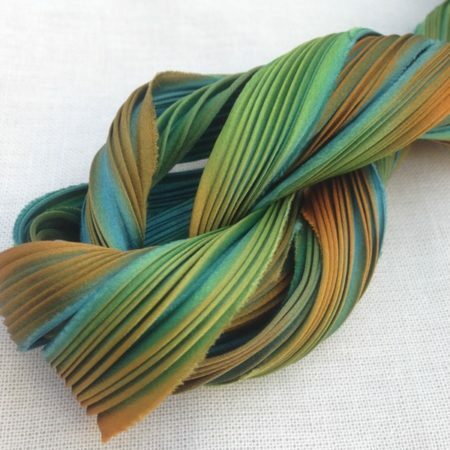 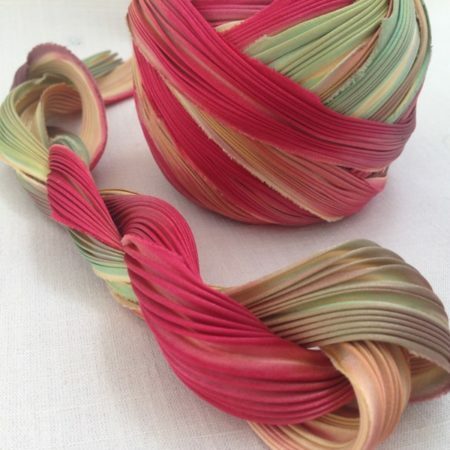 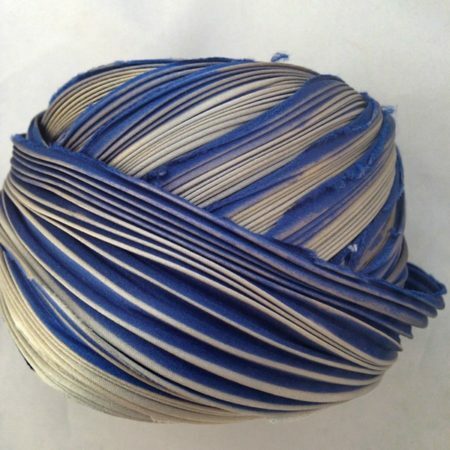 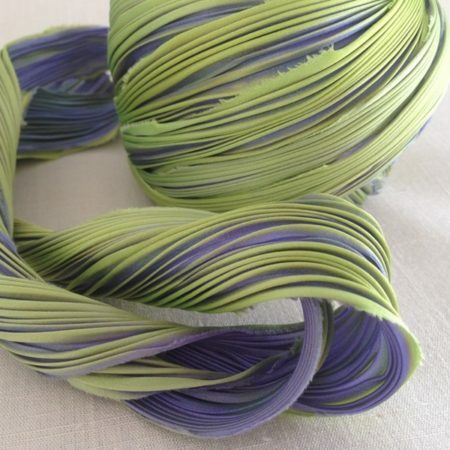 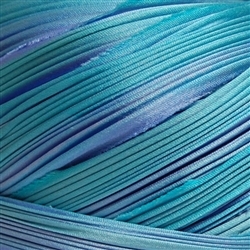 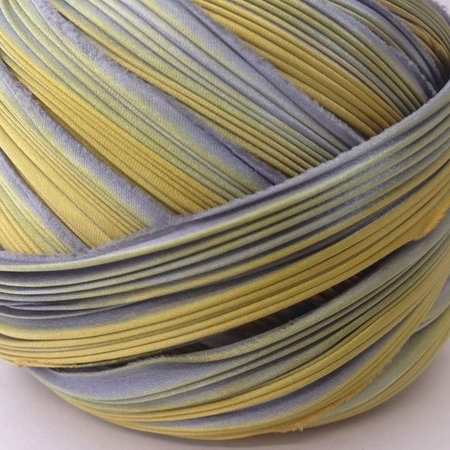 Shibori silk is bias silk ribbon which has been Shibori dyed and pleated. 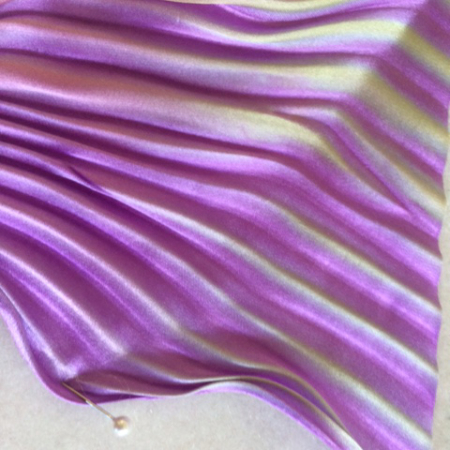 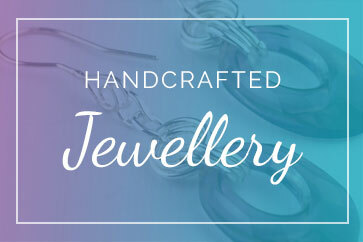 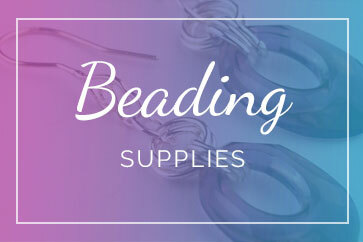 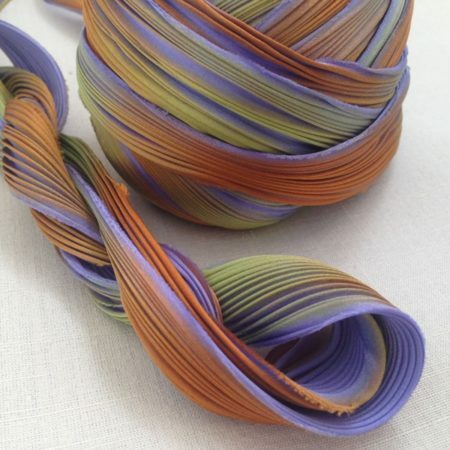 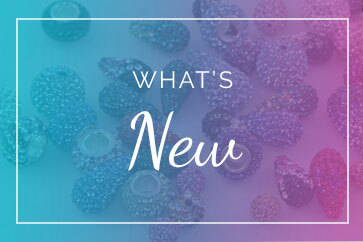 Each piece has multiple colours throughout the silk and has a finished width of 10 – 12.5cm. 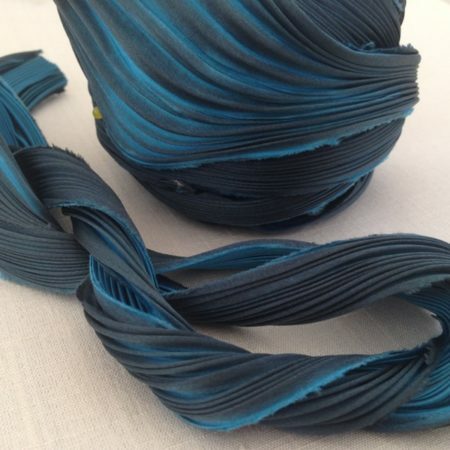 The colour and texture are steam set resulting in a washfast and lightfast ribbon with a semi-permanent pleating. 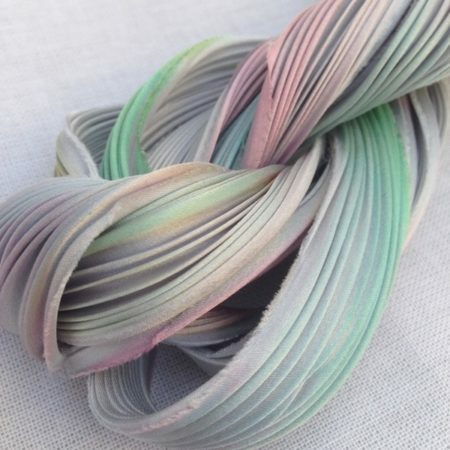 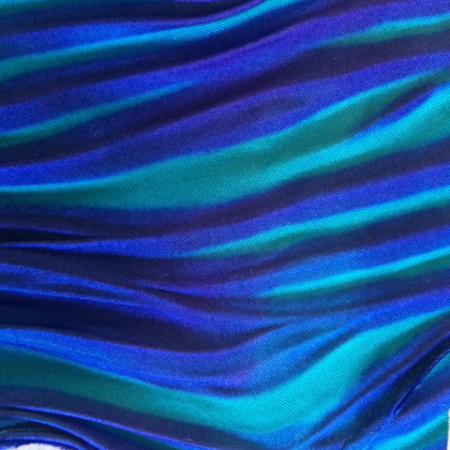 Shibori silk is sold in 50cm lengths.